Small Arms Firing Range TCRA, Former Galena Forward Operating Location - Ahtna Environmental, Inc. Small Arms Firing Range TCRA, Former Galena Forward Operating Location - Ahtna Environmental, Inc.
Ahtna completed a Time Critical Removal Action (TCRA) at the Small Arms Firing Range (SAFR) associated with the Former Galena Forward Operating Location (FOL), located in Galena, Alaska, as part of the United States Air Force (USAF) Environmental Restoration Program (ERP). The project objectives were to eliminate the risk posed by hazardous substances at the site and to achieve Unlimited Use/ Unrestricted Exposure (UU/UE). 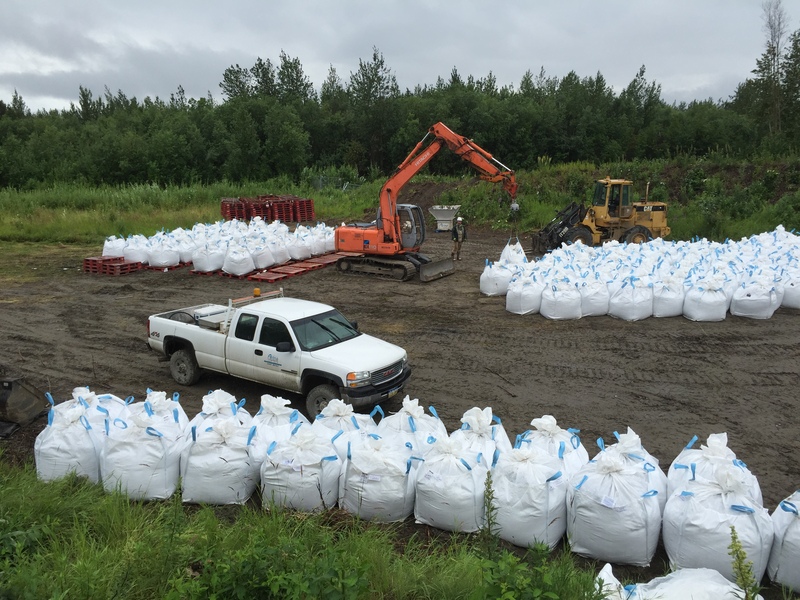 To determine the vertical and horizontal extent of lead and antimony impact to soil, Ahtna conducted a site characterization that included site reconnaissance, the establishment of sampling grids, the collection of field screening samples, and the collection of analytical samples. Results unexpectedly showed that antimony was the driver. Because cleanup levels for antimony are lower, soil excavation quantities increased. Ahtna removed the contaminated soil through six phases of excavation and confirmation sampling until the removal action objectives were met. In total, we excavated 391 cubic yards of lead and antimony impacted soil; a total of 290 cubic yards of excavated soil were classified as RCRA hazardous waste and the remainder classified as non-hazardous lead-impacted waste. 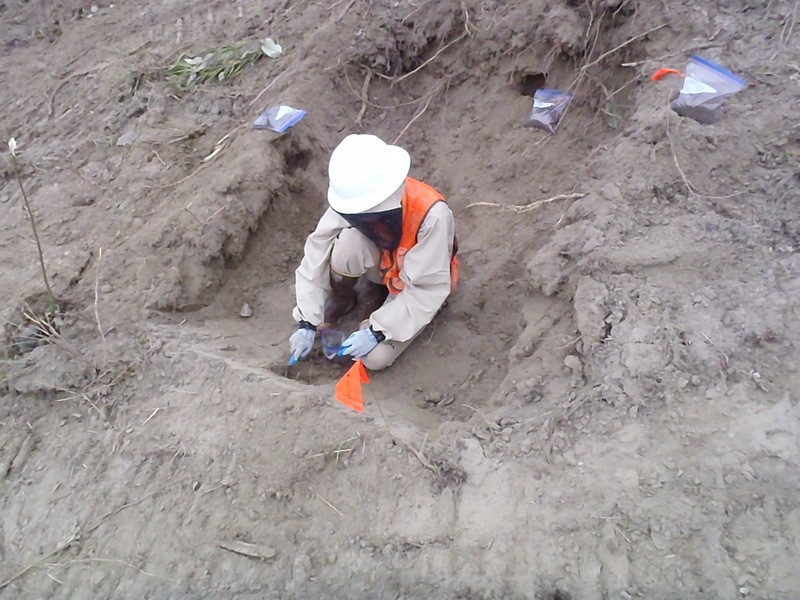 Once all confirmation sample results were below the ADEC Table Two, Method B1, Soil Cleanup levels for lead and antimony, the SAFR berms were demolished and the site was returned to natural grade. 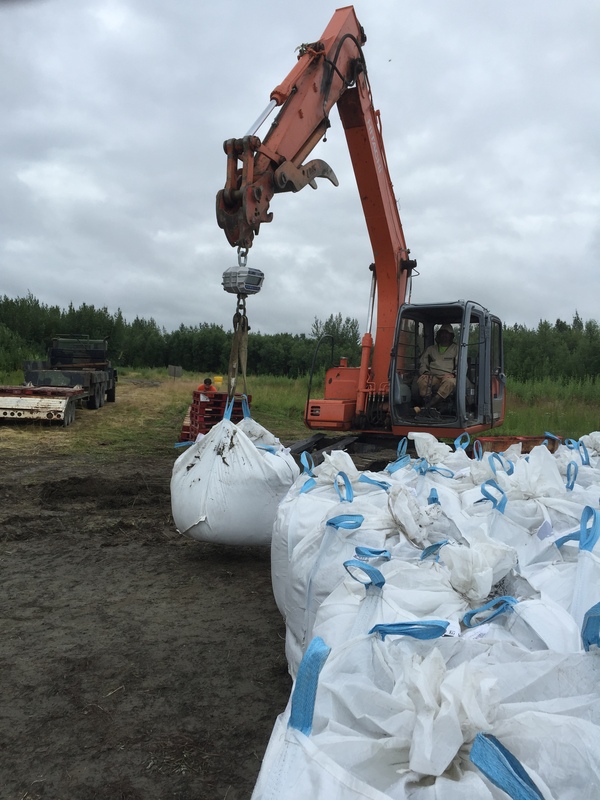 Ahtna performed the TCRA at a remote location where transportation into and out of the site was limited (no road access), and complicated the removal of hazardous waste in accordance with regulations. The only EPA-approved transporter for the hazardous waste was a barge transportation company that only had two barges scheduled. Ahtna planned fieldwork based on this barge schedule, requiring strict coordination and management to ensure meeting the barge schedule. 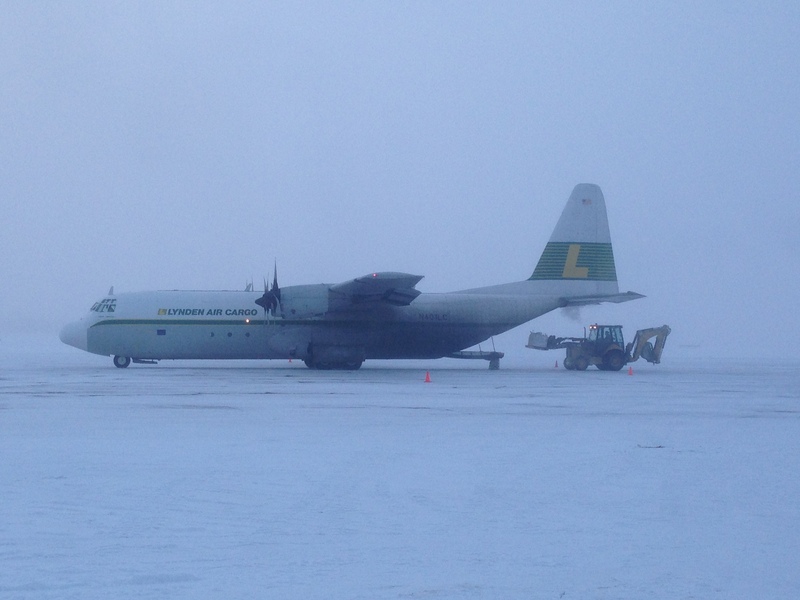 Despite these complex conditions, Ahtna successfully completed the TCRA to client satisfaction.